To ensure that your car’s engine runs smoothly and efficiently, all the fluids should be held at their optimal level. A lot of times people complain that when they drive the car out of the garage, a puddle of oil is found underneath and they get confused whether or not the car should be driven further. To make things clear, oil leak can have a massive effect on the engine and car’s performance but more importantly, it is quite dangerous since the leakage can cause fire putting your life in danger. If you notice any fluid leak from your car, it is highly recommended to not drive your car and inspect the source of a leak. In this article, we will discuss the possible reasons for engine oil leaks and how to fix the problem. Most drivers on seeing a fluid leaking from their car conclude that it is engine oil. However, your engine relies on many different types of fluids and here are some tips to identify what type of fluid is actually leaking. Dark Brown or Yellow Color: If the fluid is dark brown or yellow and has a slippery texture, then it is most likely engine oil. Pink or Red: A pink or red coloured fluid with a slippery texture is most likely transmission fluid. Some Anti Freeze coolants are red or pink also. Green or Orange: A sweet-smelling green or orange fluid is probably antifreeze. It could also be power steering fluid if it’s feeling like oil rather than water. Clear or Transparent: A fluid which has no specific colour and is clear is most likely to be power steering fluid. There could be a lot of different causes and locations of your oil leak. Here are some of the most common possible reasons for oil leakage in your engine bay. 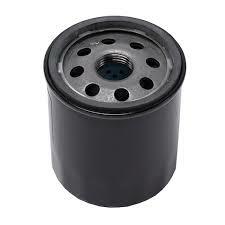 A bad or damaged oil filter is sometimes the culprit which causes the leakage. Inspect the oil filter to see if it properly aligned and fitted or leakage could occur. Please note that the oil filter should be changed every time you change the oil. The oil drain plug is located at the base of the oil pan and is accessible from the underside of the car. A worn out or damaged drain plug can cause oil leakage and to check this, inspect the drain plug to see if there is any fresh oil deposit on the plug. Valve covers are present on top of the engine cylinder head and act as a sealing to prevent oil from escaping. The valve cover gaskets tend to wear after some time allowing oil to drip. The Oil Pan is located on the bottom of the engine. It gets damaged over the time due to debris hitting on the pan and making dents. As the seal loosens, the oil starts to leak from the pan. Poor or cheap quality oil does not contain the right additives and conditioners to keep the engine components in perfect condition. Make sure you choose the right oil type for your car to increase the engine lifespan. Wrong engine oil type can create a faulty oil pressure on your engine and result in an oil leak. This does not happen frequently but can be the main cause of oil leakage in old cars. A cracked engine cylinder head allows the oil to leak out of the engine and even into the cooling system. In such a situation, check your oil cap or coolant cap to be sure if the cylinder head is damaged. A damaged head gasket with holes can cause the oil to leak into the transmission system. If such is the case, inspect your gasket and have it replaced to fix the issue. The main seal is responsible for preventing the oil to escape from the front of the crankshaft as the car is moving. It is located behind the main pulley and would have to be removed in order to diagnose the problem. The nut or bolt which holds the main pulley is usually very tight so it may require some extra force to remove. How to Prevent Oil Leakages? If you notice other symptoms and the problem is not found in the areas mentioned above, we advise you to take the car for inspection to an authorized dealer. 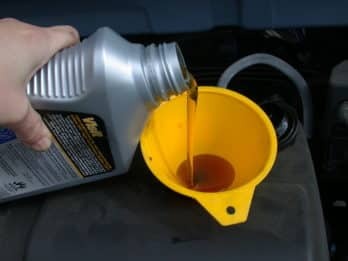 Now that you are aware of what does motor oil feel and look like, it is recommended to know how your car will react if it is losing the engine oil. Here are top 5 symptoms which help you determine whether your car is losing engine fluid and needs serious attention. When taking your car out of the parking space or the garage, check to see if there is any dark brown or yellow coloured liquid present under the car. If you see such liquid, then the car is definitely leaking engine oil. While driving, if you notice a smoke coming from the engine bay, it means there is an oil leakage. This happens when the oil goes to the exhaust manifold which results in a smoke. Leaving this issue unattended for long can cause the gasket to break down. Look for a blue smoke coming from the exhaust pipe which indicates that there is an oil leakage into the engine itself. If the motor oil leaks onto other hot engine components, you will notice a bad smell of burning oil and also hear a noise indicating that there is some problem. The engine oil ensures that the temperature of the engine remains ideal. If there is a leakage, the pistons will not receive proper lubrication and this will cause the engine to heat up. If this remains unattended for long, the engine can even seize up and stall.